When a Switch owner named Setery told a gaming forum about how NES Golf randomly appeared on her Switch’s screen, commenters accused her console of being haunted. Switch hackers’ subsequent race to unearth NES Golf now indicates that there’s a hidden game on the console and, actually, it appears to be a heartwarming tribute to the deceased Nintendo CEO Satoru Iwata. Iwata was a Nintendo icon, a demigod in the gaming world after his face accompanied online Nintendo Direct press conferences for years. Prior to heading Nintendo, Iwata was a programmer, working on games like EarthBound, Pokemon and Super Smash Bros. The story goes that, after several developers turned down the task of developing the NES’s Golf, Iwata found a way to fit the game’s 18-hole course onto a cartridge’s modest memory. 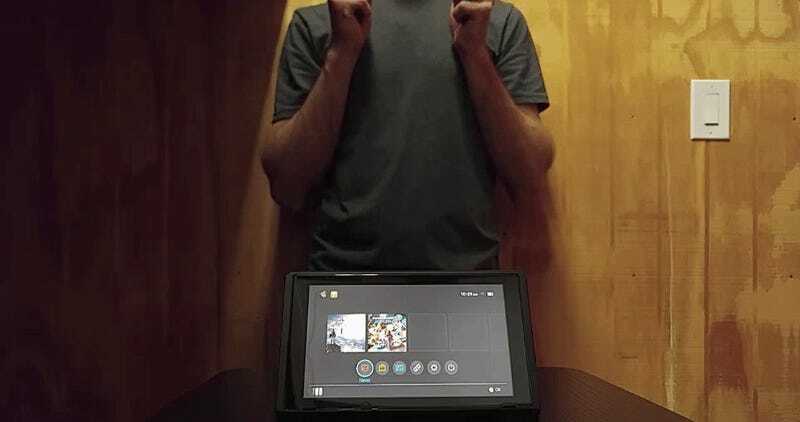 Apparently, the code was telling Pluuto that a Joy-Con-enabled “secret handshake,” in his words, unlocked something on July 11th on the Switch’s home screen. 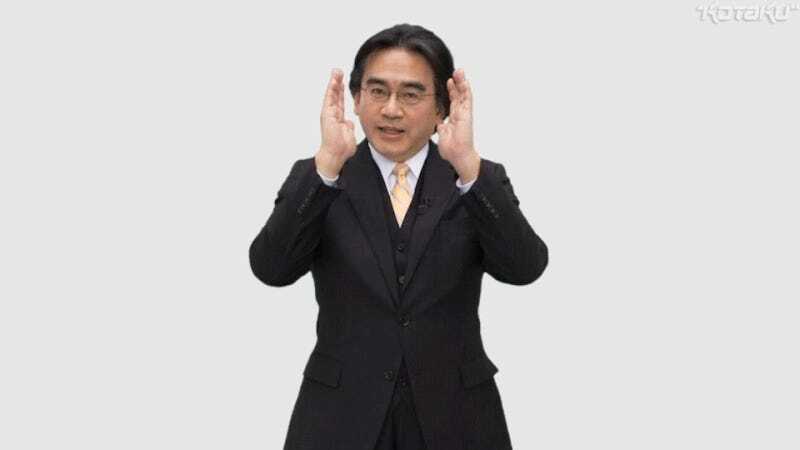 And the motion laid out in the code’s numbers, he said, appeared to match Iwata’s famous Nintendo Direct gesture. Pluuto and his co-conspirators knew that July 11th was the day Iwata passed away, and also that he programmed NES Golf back in the ‘80s. Also, obviously, that “Flog” is “golf” spelled backwards. Several other Switch users have posted pictures of Golf’s home screen on their console. But while there are about half a dozen published images of this hidden tribute to Iwata, Nintendo has yet to confirm it and has not responded to multiple requests for comment. We also don’t know whether Golf will be available on July 11th, 2018. Hearing about the memorial, Kotaku East reporter Brian Ashcraft pointed me to the the Japanese tradition of Omamori, which refers to “guide or protect.” Traditionally, they are talismans made of silk and paper left at shrines. Now, they’re made out of all sorts of things, like toys or memory cards, which could help protect digital security. They channel spirits who will help guide the Omomori-owner. It’s possible that somebody at Nintendo coded an NES emulator and Golf into the Switch—and every Switch—so Iwata’s spirit could shepherd the console to success. So, maybe Setery was right—it was a ghost.